1. To begin with why don’t you tell us a little bit about yourself – where were you born? Raised? Schooled? I was born, raised and schooled on the lower north shore of Sydney. I am the fourth of five girls so I learnt pretty quickly to just ‘go with the flow’. 2. What did you want to be when you were twelve, eighteen and thirty? And why? When I was 12 it was a ballerina I wanted to become. I was doing a lot of ballet and examinations around that time. 18 – I started an Arts/Social work degree at Sydney University which I hated. Psychology killed me it seemed to be solely concerned with why a rat ran left as opposed to right! At 19, I started nursing training at RPAH which I loved. At 30, I was nursing as an Oncology sister in Bone Marrow Transplant Units. At that stage in my life I wanted to keep specialising in the area because it was a really interesting time in the treatment of these patients, full of change and a lot more hope. I still hadn’t contemplated writing a word of fiction. 3. What strongly held belief did you have at eighteen that you do not have now? I think 18 can be a very judgemental age. I don’t remember having a particular belief or opinion at that age but I’m definitely more mellow and less judgemental now as one starts to understand that there are many things behind a facade. 4. What were three works of art – book or painting or piece of music, etc – you can now say, had a great effect on you and influenced your own development as a writer? The novel Lord of the Flies, William Golding. I think I read this around the age of 12. I remember it so well, probably because it was my first experience of understanding the potential darkness within people. The story also made me see that this darkness lives inside all of us. This ‘vulnerability’ or ‘susceptibility’ is a theme I seem to explore in my work. The film Ordinary People directed by Robert Redford. The title of this film says it all. What happens to an ordinary family who suffers a terrible trauma. This film seemed to cover so many responses from all the different family members. 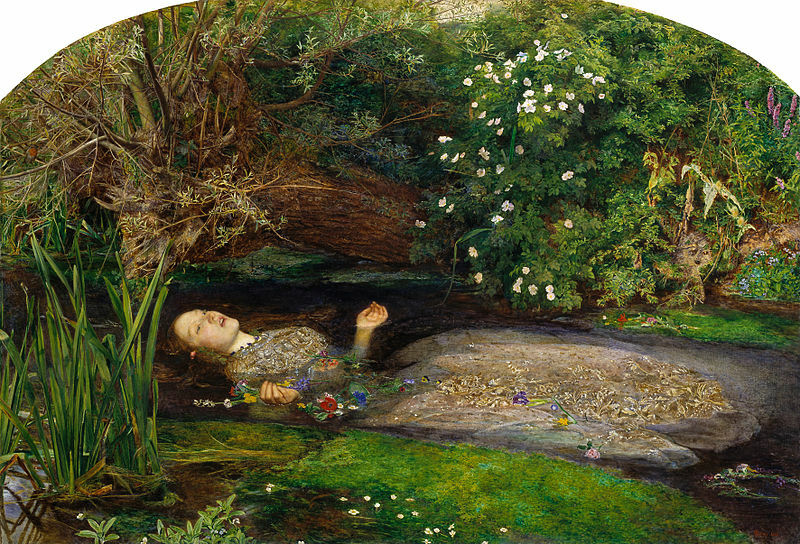 The painting Ophelia by Millais. My mother had a book of his work and I used to stare at this painting in complete fascination. The way Ophelia’s hands floated in the water and how pale her skin was. There seemed to be so many things to see in this painting. 5. Considering the innumerable artistic avenues open to you, why did you choose to write a novel? Because my parents were journalists and my father is still a writer, I don’t think I felt afraid of writing. It was just something that was always around me. Pigboy is a first person narrative told by Damon Styles, a young man who doesn’t sit comfortably in his skin or the world. Damon has been victimised and intimidated, yet also likes to do that to others. He is an outsider in a small rural community and after an incident at year 10 school camp, Damon is further ostracized and the eyes of the town are upon him. 7. What do you hope people take away with them after reading your work? Pigboy is a story that explores the way a person can be judged and how that judgement can be so wrong. An unlikable person doesn’t mean they are evil – it may just mean that they find it to difficult to navigate their way around life and relationships. That idea is what started my thinking and led to the writing of Pigboy. So it’s this notion that I’d like the reader to be left with. 8. Whom do you most admire in the realm of writing and why? MJ Hyland, Anne Tyler, Venero Armano and Shakespeare because his observation of the human condition was spot on. 9. Many artists set themselves very ambitious goals. What are yours? I don’t really have any ‘goals’. Each time I write I am determined to make it the best I can. To tell the story the way I feel it needs to be told and not how an audience may ‘want’ it to be told or what’s the ‘appropriate’ way to tell it. It’s a matter of blocking out the audience and staying true to the characters and sometimes that in itself is an ‘ambitious’ goal! 10. What advice do you give aspiring writers? Be curious and a sticky beak. I would say these are the real tools a writer needs. J. C. Burke, thank you for playing.